Pyrophobia is an inordinate fear of or hatred of fire. 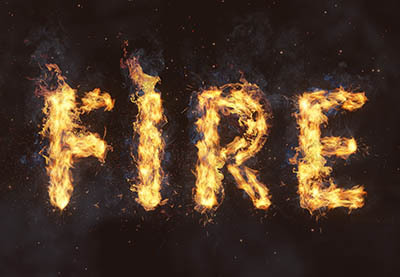 This tutorial will show you how to use Photoshop's Flame filter, along with some flame, smoke, and spark image textures as well as blending options, filters, and adjustment settings, to create a blazing, fiery text effect. Let's get started!